Dr. Wolfgang Waschnig was born in Austria and graduated from Vienna Medical School. 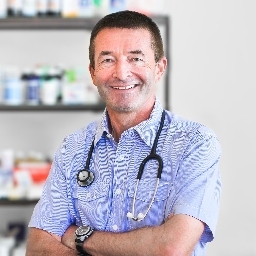 He has been working as a General Practitioner in South Africa since 1989 and has over 20 years of experience in a wide variety of cases. He has a special interest in pediatrics and sports medicine. He is currently married and has four children. His hobbies are mainly sports-related: he has a passion for skiing, cross-country running and cycling. Dr. Waschnig is a doctor of trust for the Austrian, German and Swiss Consulates. He is proficient in English, German and Afrikaans.